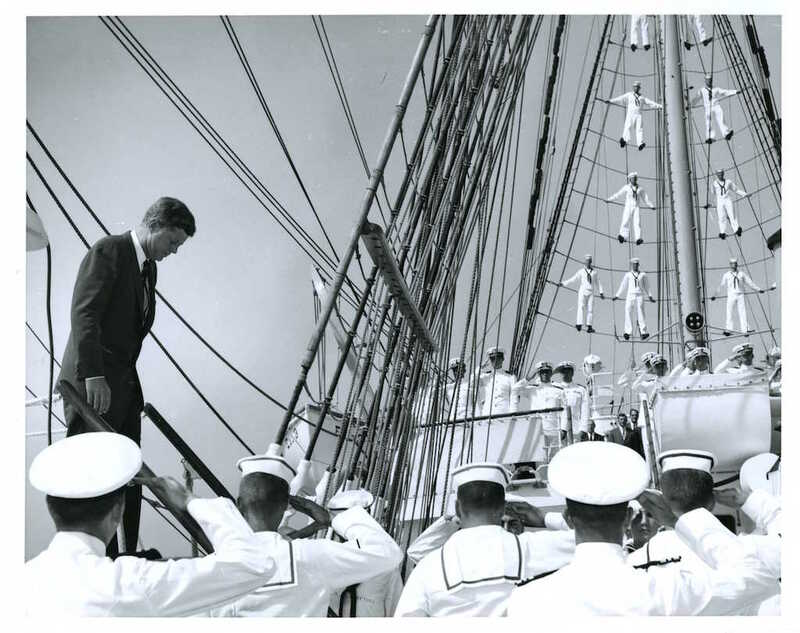 â€˜A Liking for the Sea’ | JFK and the USCG Eagle | A Continuous Lean. A majestic sight greeted visitors to Portland, Maine’s waterfront the other day: the only active commissioned sailing vessel in American military service. 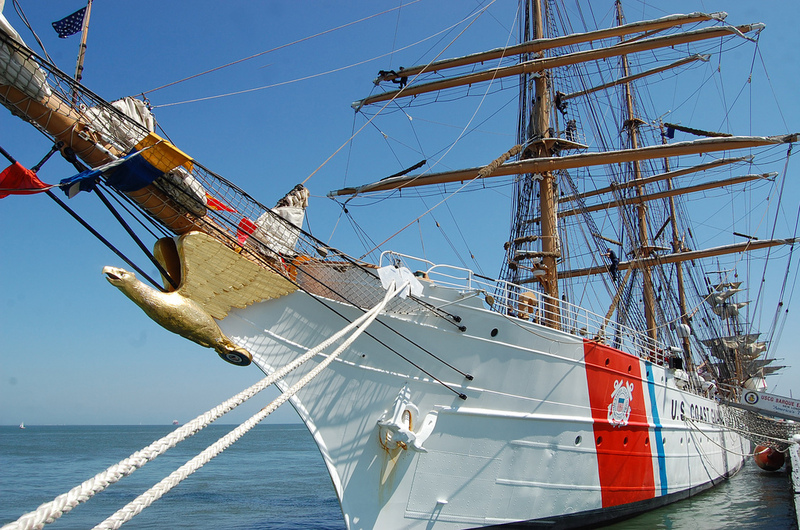 The 295-ft. USCG Eagle, used as a training cutter for future officers of the United States Coast Guard, visited the city as part of the Tall Ships Portland Festival. 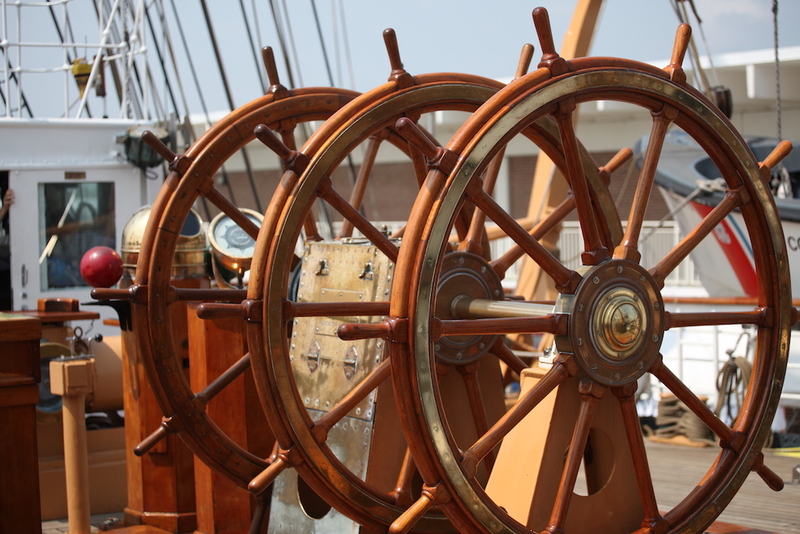 The ship has a rather interesting history. Built as the German training vessel Horst Wessel in 1936, Adolf Hitler presided at its launch and once used living quarters aboard ship. 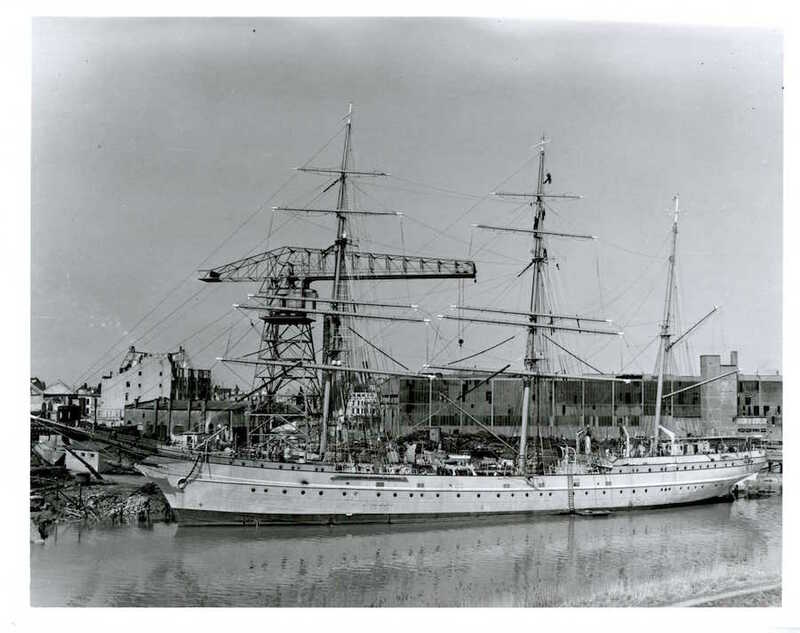 It served to train German sailors in sail techniques until decommissioned at the start of World War II, then was re-commissioned in 1942 fitted with anti-aircraft guns. 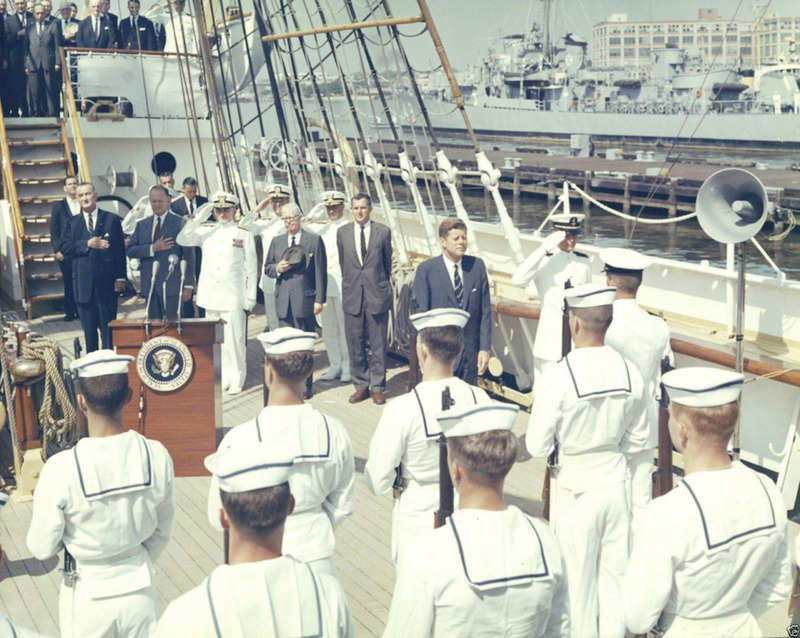 At the end of the conflict it was taken by the U.S. as part of war reparations and re-christened Eagle. 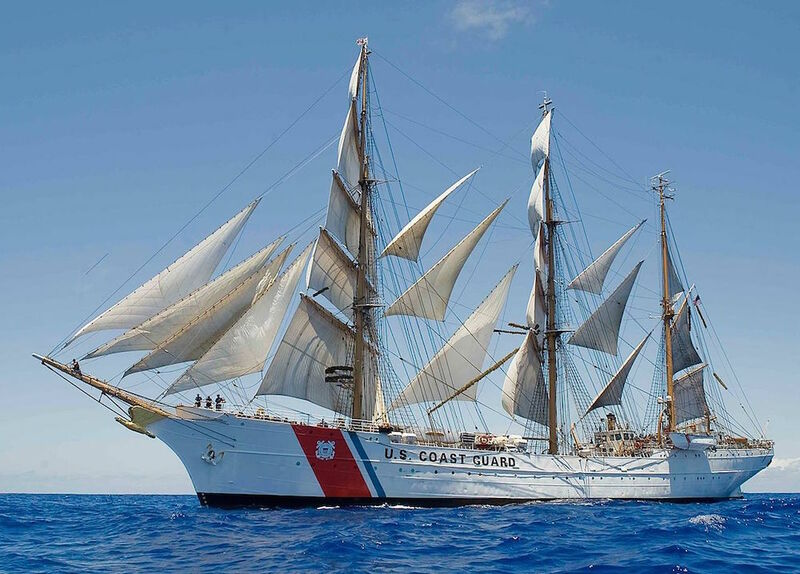 Based at the Coast Guard Academy in New London, Connecticut, the ship is the is the seventh Coast Guard cutter to bear the name in a line dating back to 1792, including the Revenue Cutter Eagle which fought the British man-of-war Dispatch during the War of 1812. 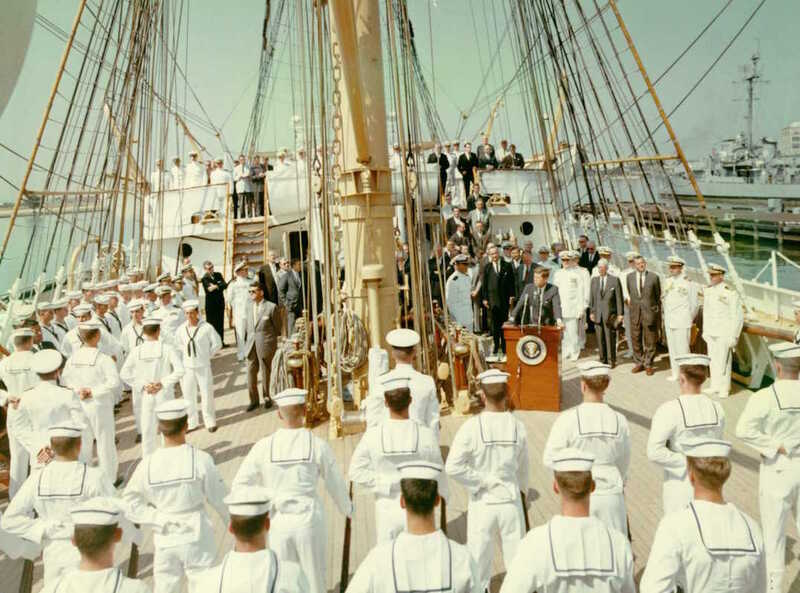 In 1976 the Coast Guard added their “racing stripeâ€, officially known as the Service Mark, to the Eagle‘s hull – another Kennedy connection. The Service Mark was designed in 1964 by the industrial design office of Raymond Loewy Associates to help modernize the Coast Guard’s image. 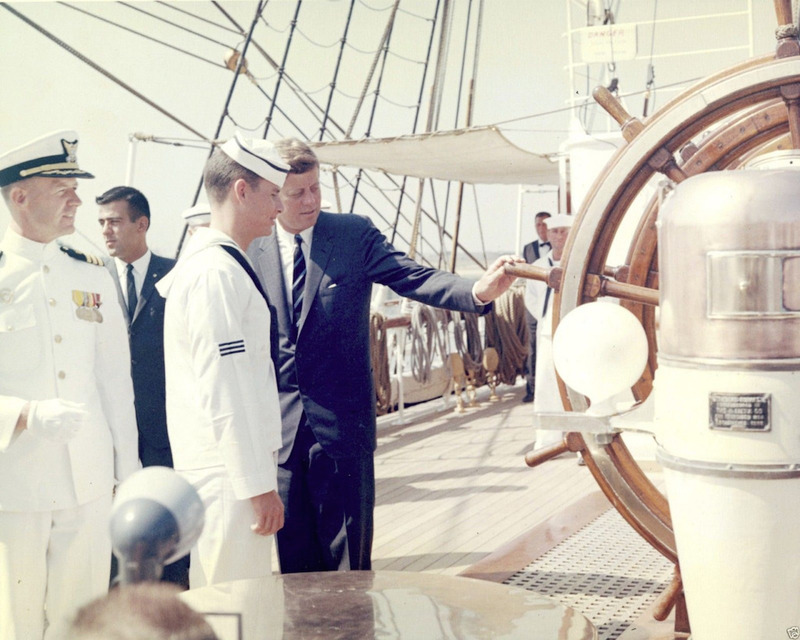 Loewy had worked with Jackie Kennedy to design colors for the Air Force One fleet, and the story goes JFK was so impressed with his work he suggested the entire Federal Government should have Loewy re-design its vessels and aircraft, starting with the Coast Guard. 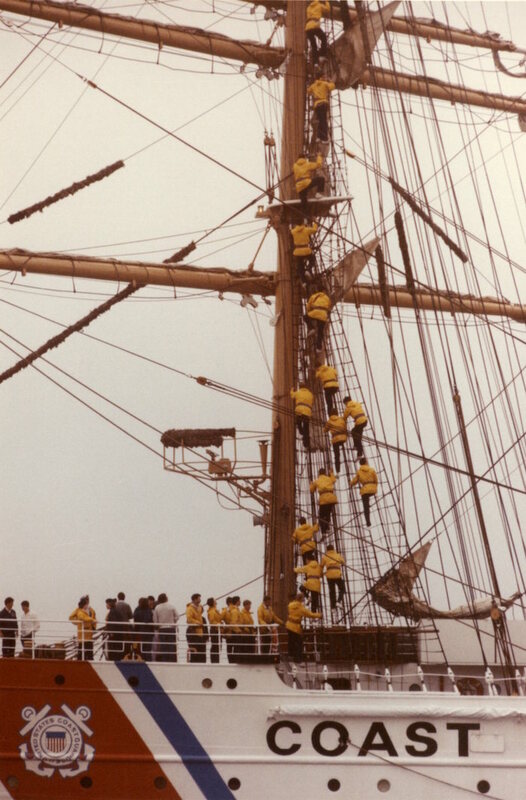 My wife served aboard the eagle during academy until graduating to commissioned officer. She says it’s not a fun place to be in a storm. 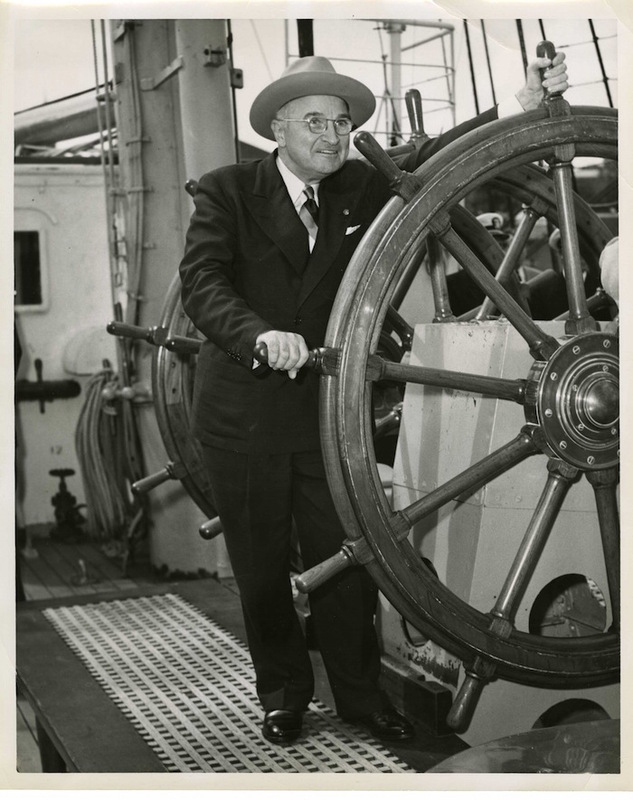 And another proud tradition of the USCG, as evidenced by Drew — early admission of women into the Academy and the officer corps. Me, a humble former avionics tech and aircrewman. 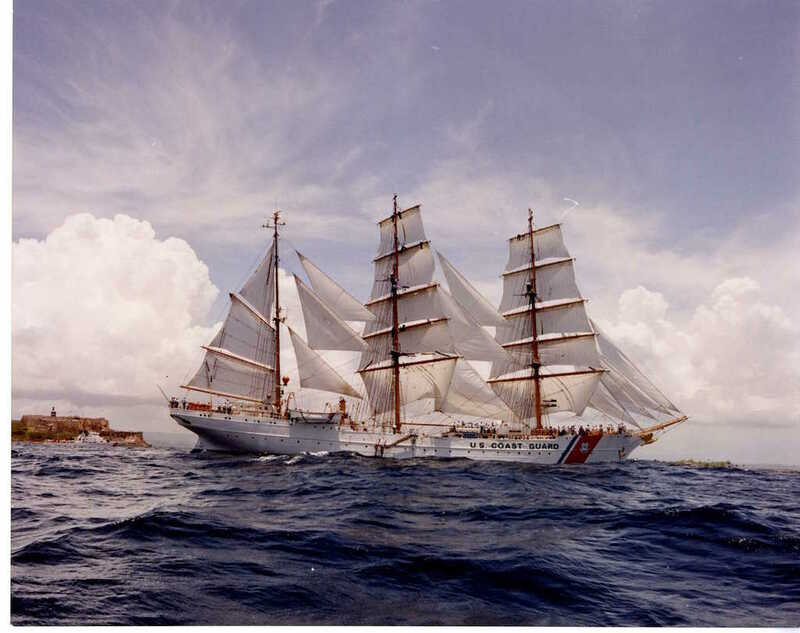 When I was in, the Eagle was a source of pride as an active service vessel that represented tradition and legacy (even it was a German vessel at one time). Haven’t looked at ACL in a while, but great to see this post on the most awesome ship in the States. I always thrilled to see “Eagle” when my college team sailed against the Bears in New London. Be sure to pick up the new Forever stamps honoring the 225th Anniversary of the USCG.